Hi, I joined up a few days ago after seeing this sketchbook forum and being inspired by the amount of hard work you people are putting into your art. I aspire to do the same. 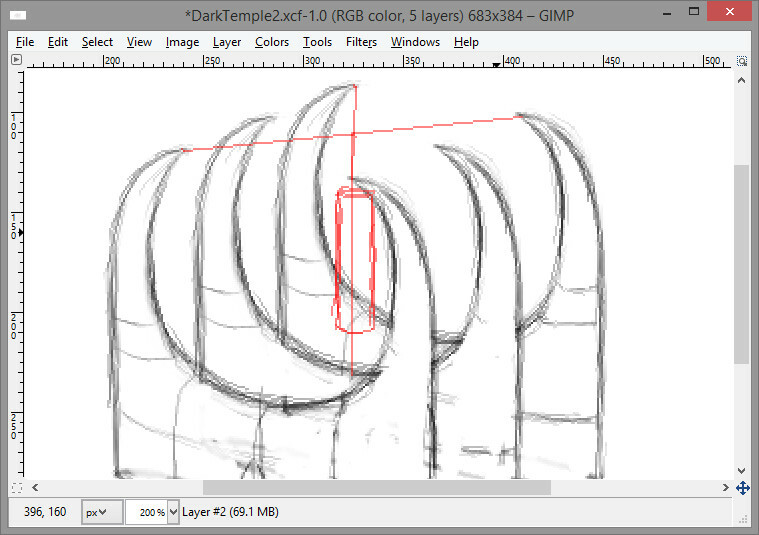 I'm a hobbyist and my current tools are Gimp, Blender and a Wacom Intuos3. 1. Continue enjoying doing digital art. 2. Improve at doing digital art. 3. Produce a digital comic. 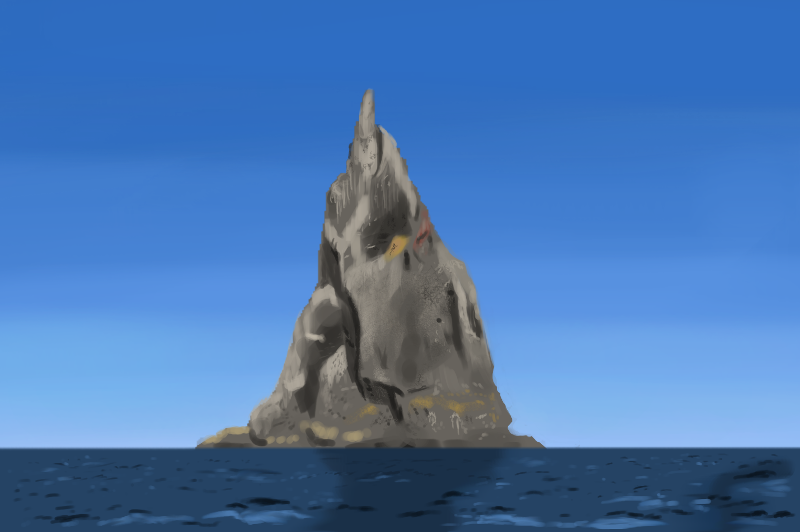 Currently I am focussing on levelling up my skills at painting environments. 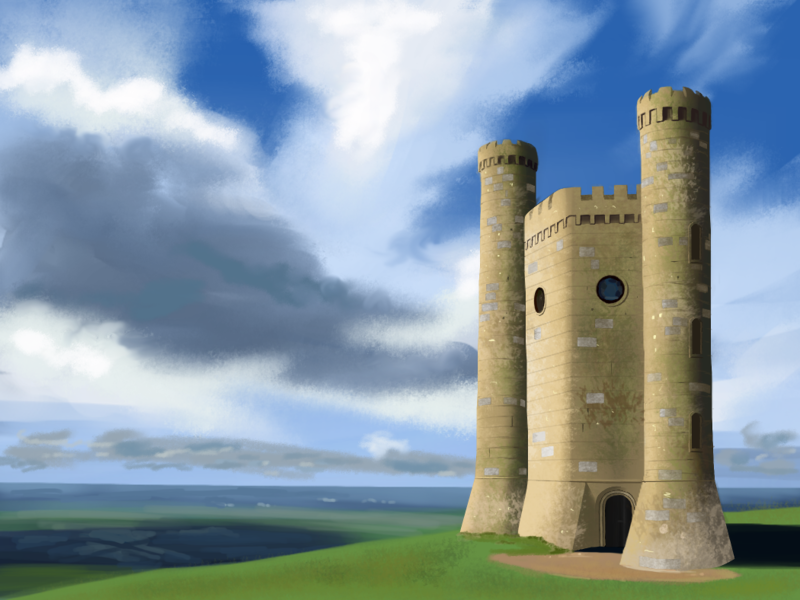 Here is a study I did last week of a stone building. Any feedback would be appreciated - thanks. 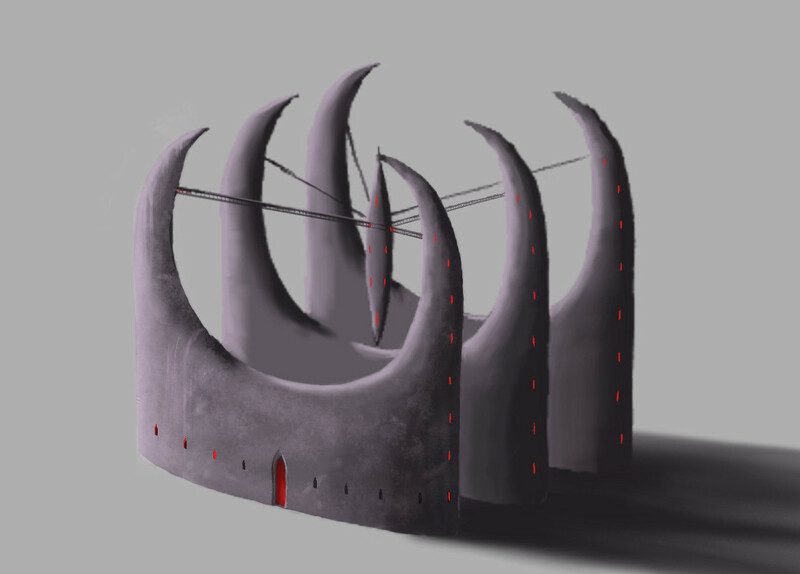 Trying to design a dark temple and also practice painting ominous looking buildings. 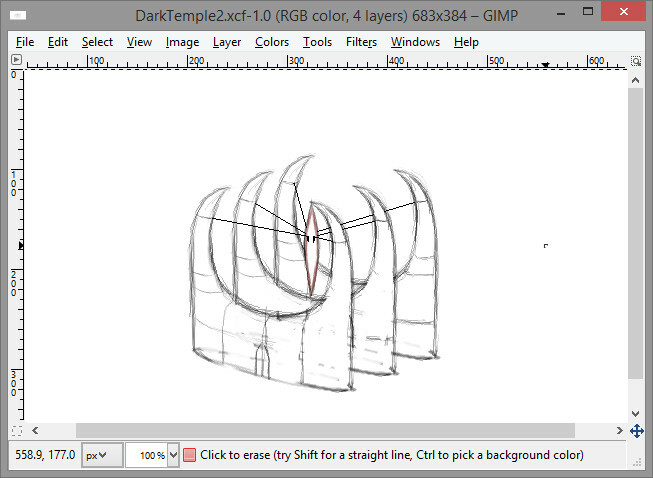 I tried to make the temple look like it was made of basalt (a dark volcanic rock apparently). Not sure I like the design of the windows – I was wanting something more gothic. Anyway I think I’ll leave this one for now and get on with some landscape studies next. Hey Artloader! Your perspective looks really solid. I think your work will benefit a lot from adding a bit more detail to make it more interesting to look at. For the castle that may be the windows + balcony. They add a nice focal point with some sweet detail. Thanks Miracoly! Yep, I agree this needs more detail. It's supposed to be hewn out of solid basalt so I'm trying to come up with some ideas as to what kinds of details to include. More research needed I think. 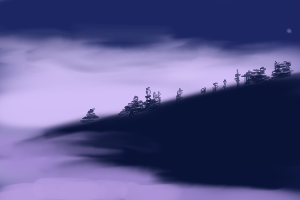 Eventually I want to paint a landscape of a dark temple viewed from across some mist shrouded crags so this is part of my exploratory work for that. 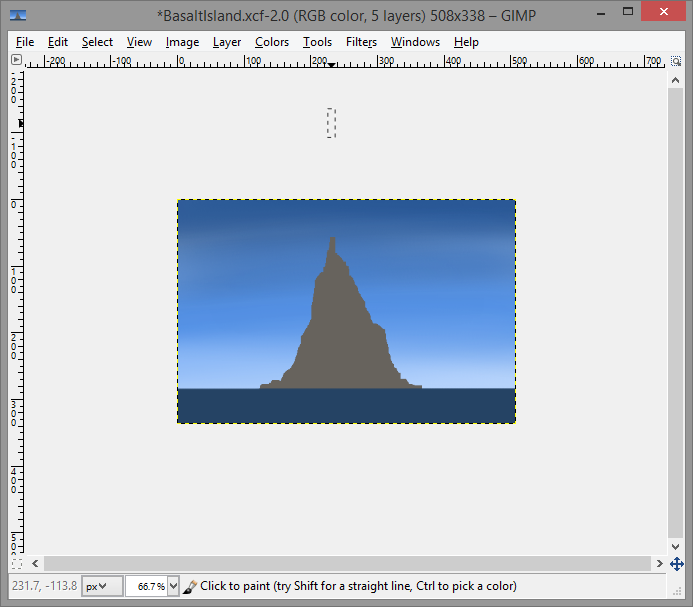 I wanted to learn how to paint basalt so I'm doing a basalt island study using this photo from Getty Images as a reference. 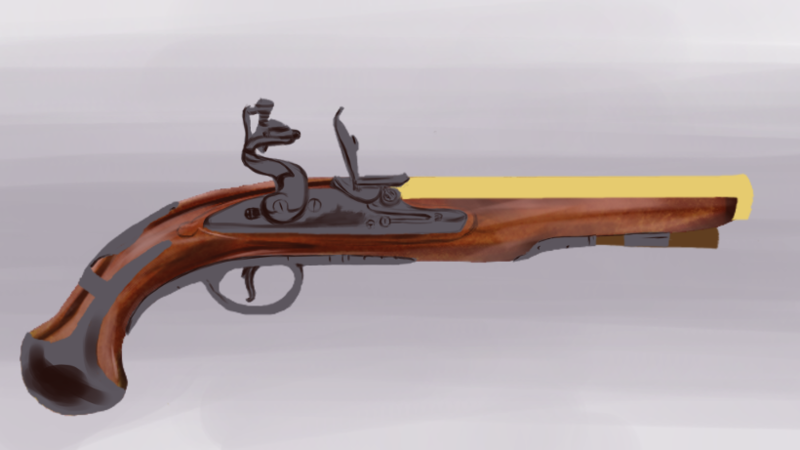 I am deliberately not using the eye dropper tool to sample colours from the photo reference but instead I'm practicing guessing the colours myself. Using the trick of starting out on a small canvas (quicker to paint and less resource intensive on my machine), first I painted the sky. Then I blocked-in the water. 1. 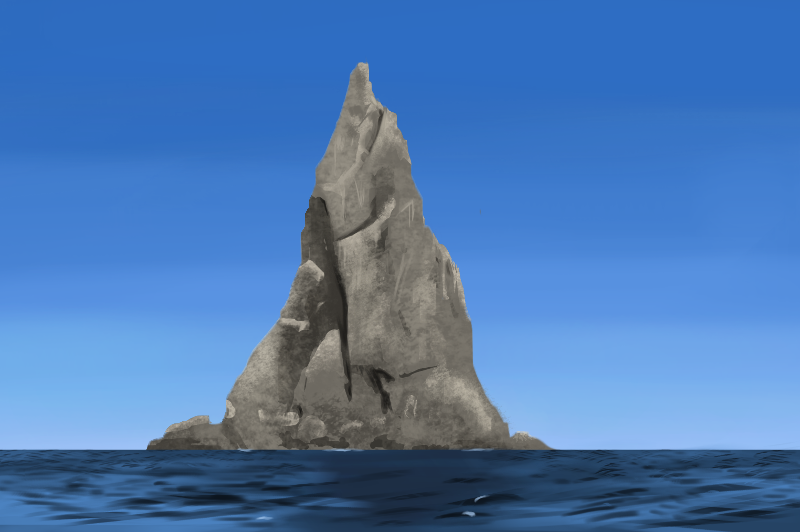 Using different textured brushes - didn't look very realistic but was quicker. 2. 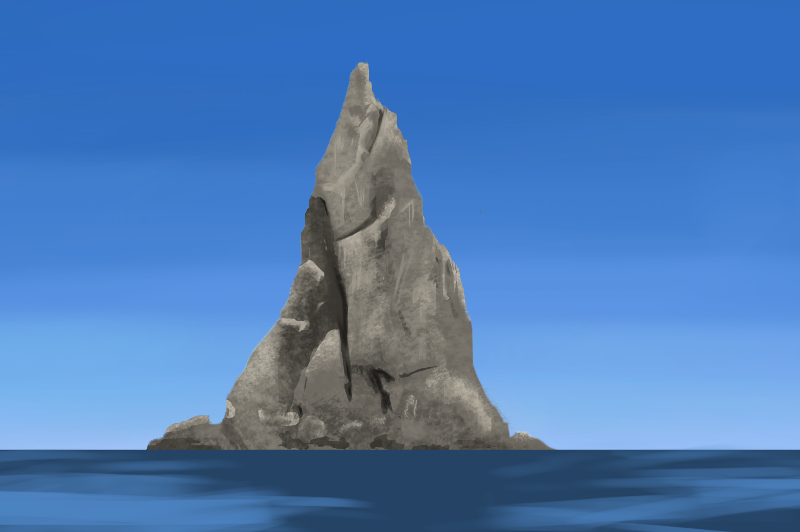 Putting in the imperfections one brush stroke at a time - looked more realistic but took a lot longer. I wouldn't worry about detail. It's sort of a misleading word. Just think about indicating where light is coming from, where it's hitting and where it's not hitting. 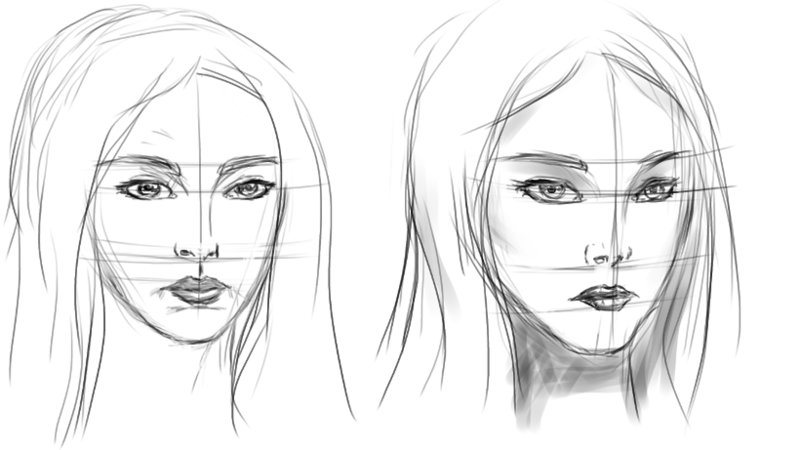 Doing this will help you understand form better and see why objects look the way they do. Start with a big brush and try to block in simple values first. 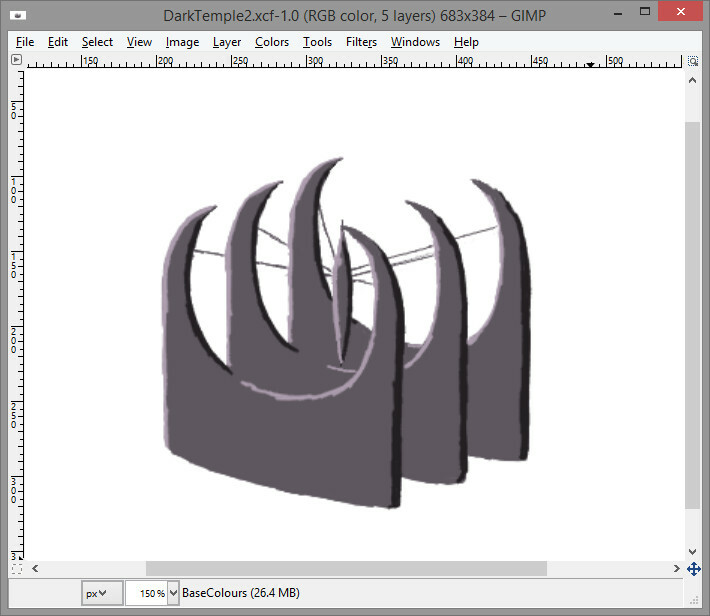 Then in increments, slowly work your way to smaller and smaller brushes. 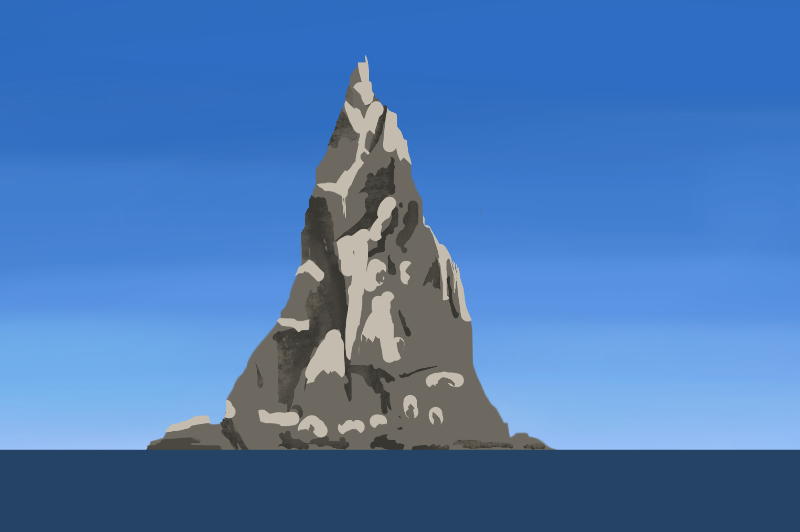 I think crtl+paint has some good exercises that'll keep you busy for a while. Add in some master studies/life studies every once in a while and you're probably good. https://www.youtube.com/watch?v=NygkJEc3yu4 This video by Shaddy Safadi should help as well I think :) Keep it up! 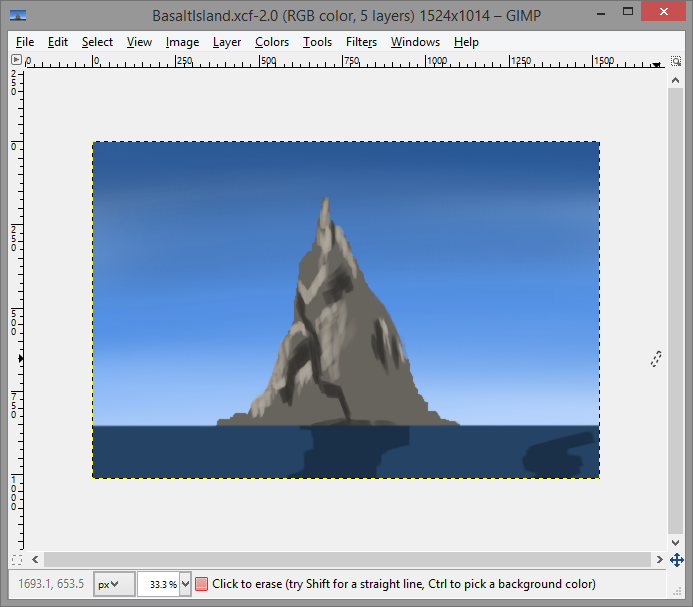 Thanks YangDaniel027, useful pointers and I am already studying from Ctrl+Paint, it's an awesome site! Thanks Miracoly for the link to Shaddy Safadi, that guy is dynamite! I watched about 3 - 4 of his videos in one sitting! 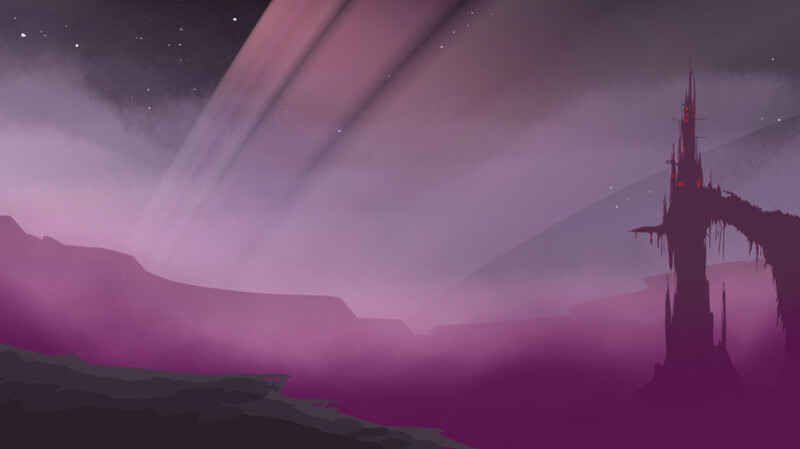 Anyway I went back to the blocking in stage with this last piece and tried again. Hey ! Thanks for stopping by my sketchbook. Nice start here. 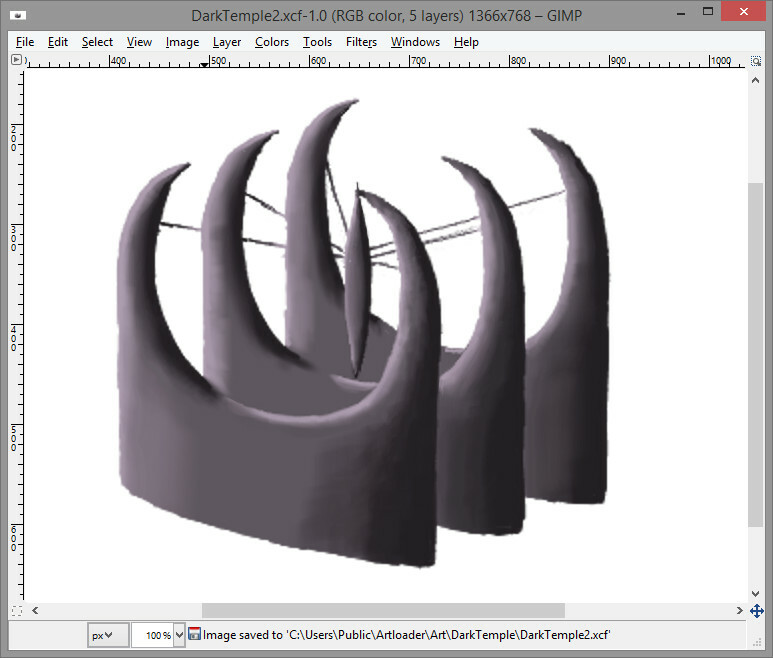 Something to remember when painting forms and textures. Our eyes can hardly see textures in the shadow. In fact texture is mostly found right before you lose the light (terminator) because of it being at the right angle of hitting those bumps. Best to imagine a tree trunk, as the form turns away from the light our eyes can't see much texture. 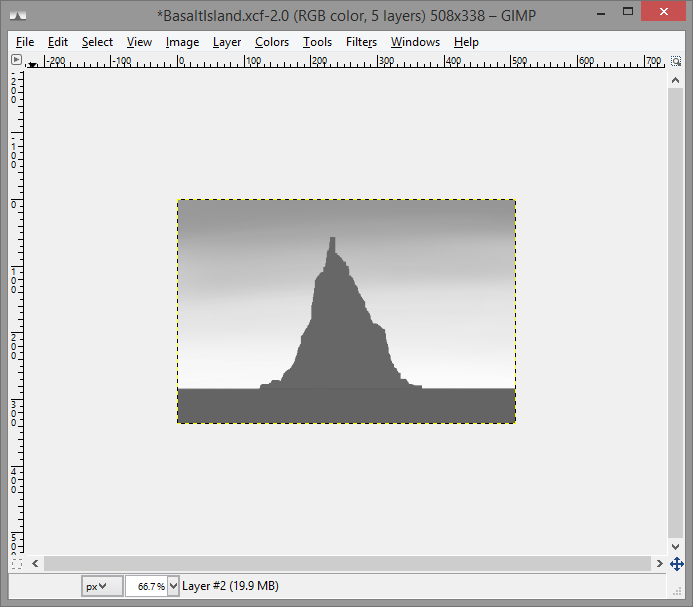 By the way, are you painting with a 300 dpi canvas? 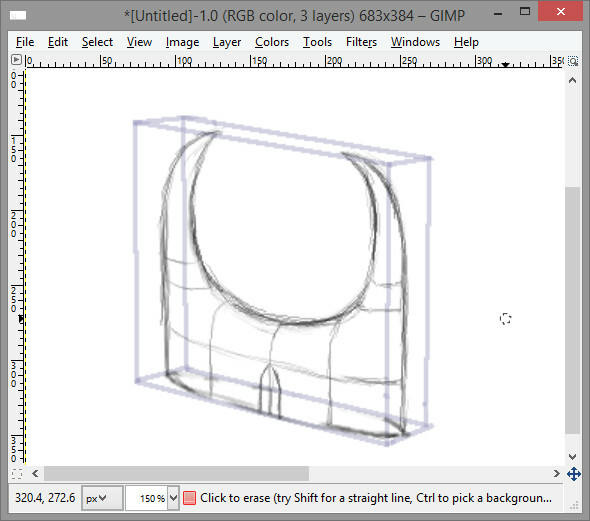 The first images are really struggling to hold pixels, try to work with bigger canvases if you can. Thanks for stopping by Ben, awesome tip, I'll watch out for that from now on thanks :). 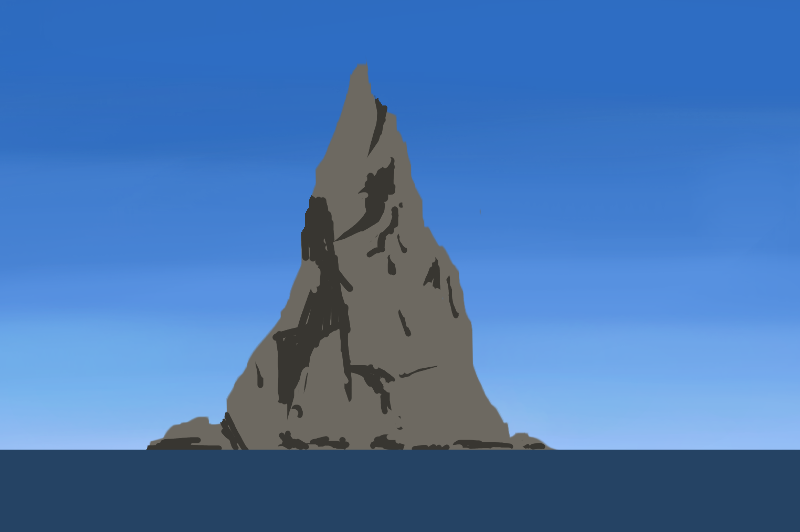 I work on a canvas of around 1800 x 1000 normally but scale it down when I want to post on the internet - I don't want to eat up server disk space - not sure if that's an actual issue on here though? 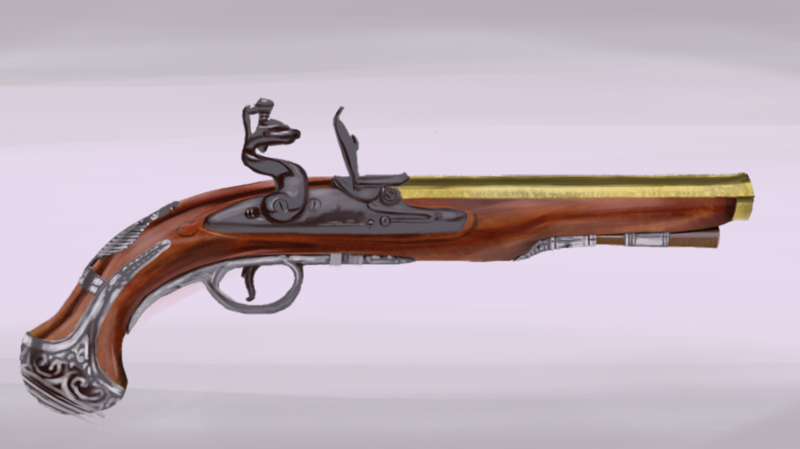 Finished off the flintlock pistol with some highlights and texturing. 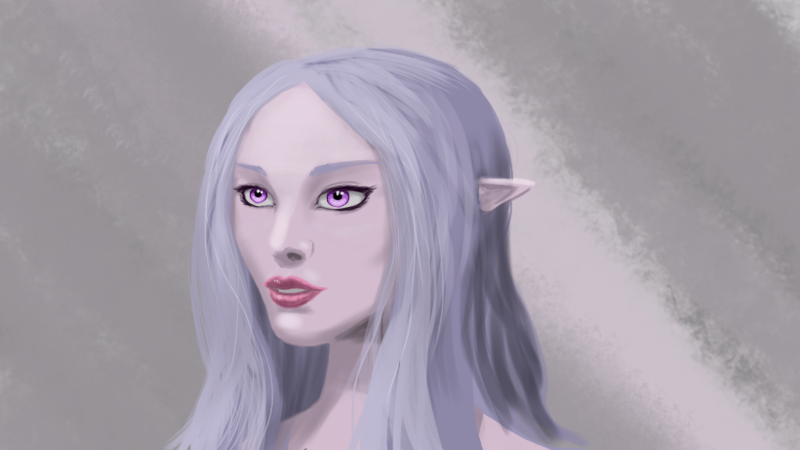 Some character work now. 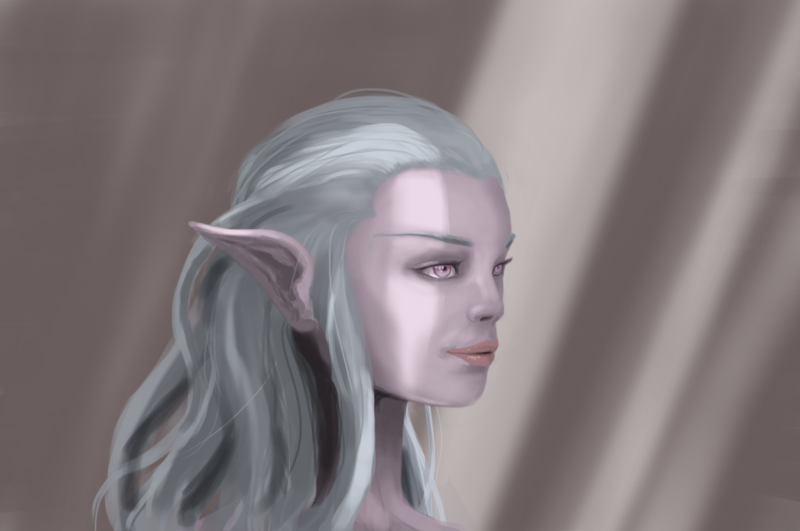 Here's an elf maiden face where I've had a go at partially illuminating her with a shaft of light. 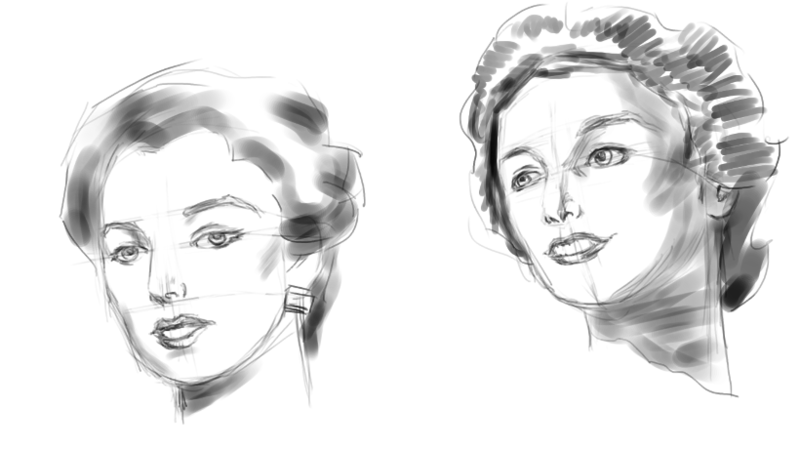 Gonna knuckle down and go back to basics on female faces now. Here's some exercise sketches. 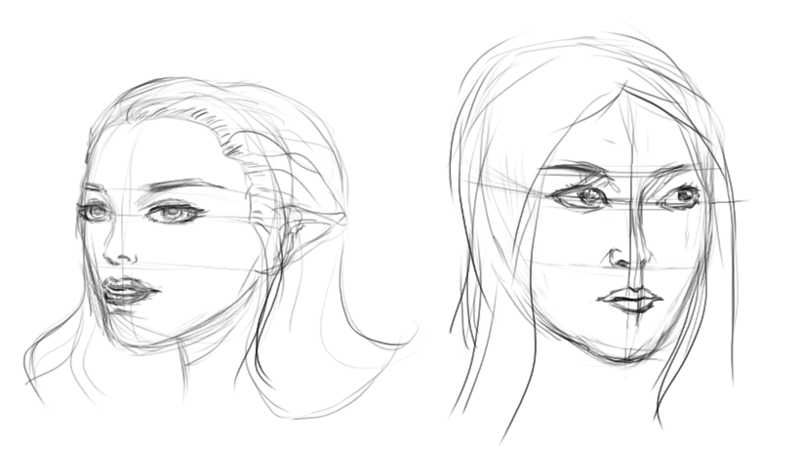 More female face sketching today. 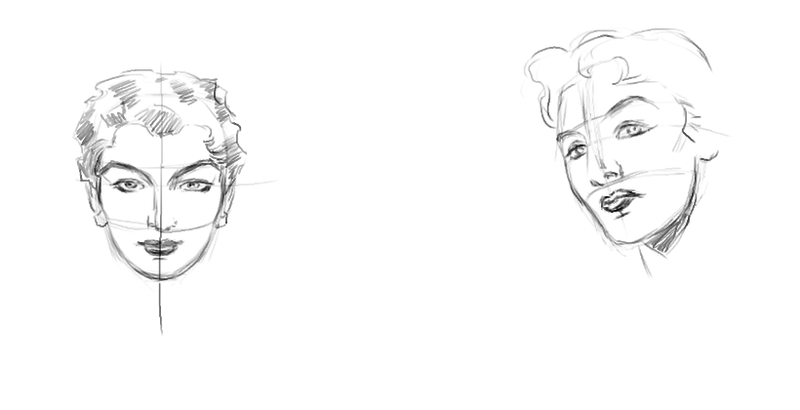 Trying a different face shape this time. 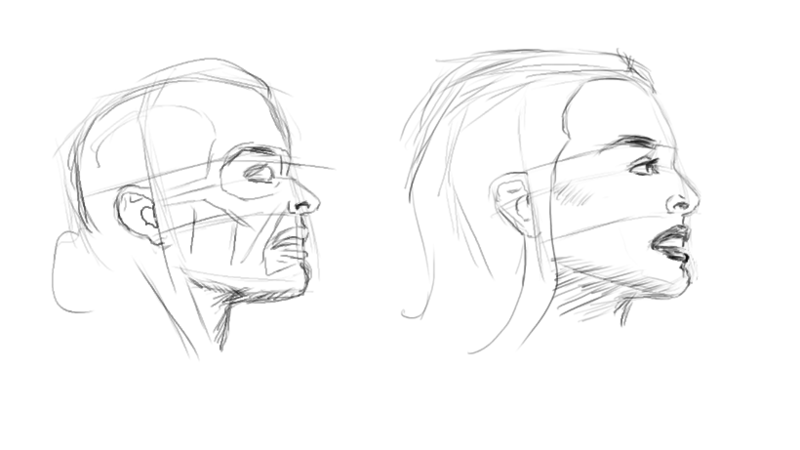 Also trying to get better at noses and mouths. Hm, I see where you are struggling with your heads. You need to learn a head construction first. All these features,like ears,eyes,nose,they are just a decoration. You can practice drawing em' separately. You're already making big strides here, especially with the pistol and elf portrait. Smart move on tackling Loomis as well. Keep goin! Hey thanks for the tip S4murai_cat, I will continue with head construction. Thanks for the kind words Ben, yep Loomis is great, I will carry on with him and also mix it up with some photo references and pure imagination stuff.